Throughout the uprising and conflict in Syria, women’s rights activists have worked to deliver a wide range of life saving services and advocate for human rights of women and girls. However, their contributions, experiences, and concerns continue to be missing from international policy discussions, humanitarian response operations and peace negotiations. 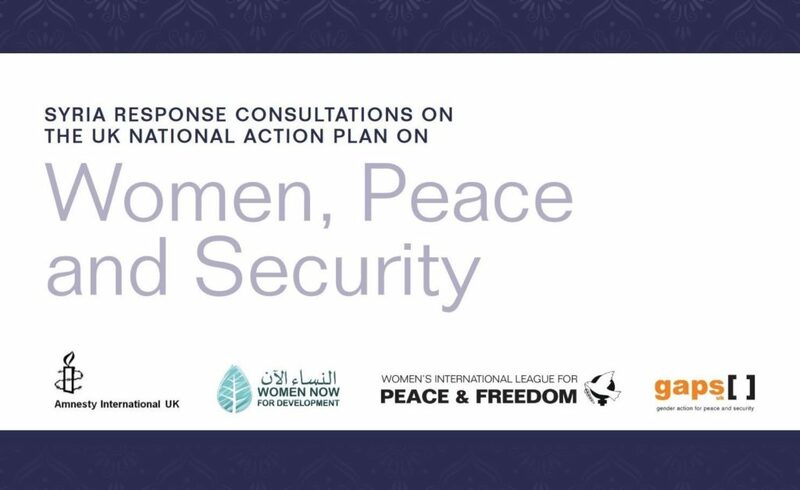 To address that, WILPF jointly with Amnesty International UK and Women Now for Development organized consultations with Syrian women human rights defenders, gender equality advocates and civil society organizations inside Syria and abroad. The report presents their analysis of barriers and challenges faced with respect to four pillars: participation, violence against women and girls, security and justice, and refugees and forced displacements. It provides recommendations to UN member states and other stakeholders based on their first-hand experience and thorough understanding and analysis of the conflict.